He was a slow left-arm bowler and gritty batsman, who played most of his cricket in his native Scotland, but as a young man in the 1950s he made his mark in England for Oxford University and Kent; he returned in the late '60s to play for a couple of years with Warwickshire, where his old Oxford friend MJK Smith was captain. As a freshman in 1953 his first ten overs for Oxford were all maidens, seven against Yorkshire before that game was rained off and then three against the touring Australians. In 1955 he fell only five wickets short of doing the double, and in 1956 he played for the Gentlemen against Australia at Lord's. So he was pretty good, certainly one of the best Scottish cricketers of his generation, and indeed more than that. But this letter isn't really about Jimmy. Sometime in the early '80s, when at the age of 50 or so he was still bowling an immaculate length in club cricket in the west of Scotland, I enjoyed a long conversation with him after rain had, once again, stopped play. "Who," I asked, "was the best English batsman you bowled against?" "Tom Graveney", he replied without a moment's hesitation. "Just let's say I found him more difficult to bowl to, more difficult to keep quiet. And he was a wonderful player on bad wickets when the ball was turning." Actually Graveney was a wonderful player all round, the most elegant and beautiful batsman of his generation, his cover drive sheer perfection. 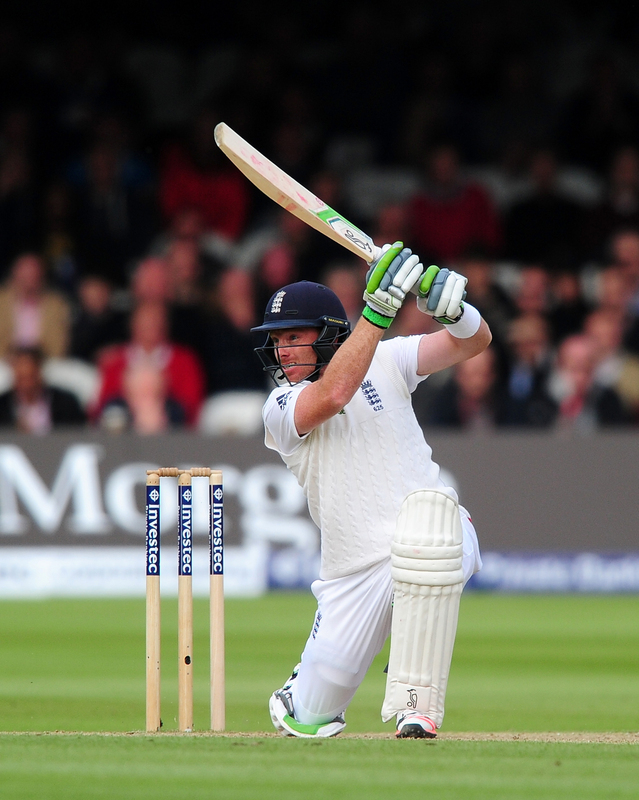 When he was going well, he made batting look effortless, the most natural thing in the world. In an article in Wisden celebrating Graveney's 100th first-class century, Neville Cardus said that if everything about batting was forgotten you could reconstruct its grammar from watching Graveney. This was generous, not altogether accurate, for he was essentially a front-foot player, and what is now called a trigger movement was the withdrawal of his back foot a couple of inches towards short leg. He even hooked off the front foot. I recall seeing him do so against Graham McKenzie at Headingley in 1968. McKenzie was pretty quick; the ball went to the midwicket boundary. Graveney had then just passed his 41st birthday. He gave me more pleasure than any other batsman of his time, the same sort of pleasure that Ian Bell has given me for the last ten years. Shorter than "Long Tom" and playing more off the back foot - the delicious late cut - Bell has exactly the same ease of manner, and what Cardus wrote of Graveney certainly applies to him. Master of every shot in the book - even the ugly modern reverse sweep - he exhibits the full grammar of batsmanship. A diagram of his scoring shots in a long innings will usually see boundaries struck to every part of the ground. Yet, like Graveney before him, he is capable of self-restraint. Just as Jimmy Allan remembered Graveney as a masterly player on a bad wicket, when the choice of what to leave is as important as the choice of what to play, so likewise, if the ball isn't coming on to the bat, Bell is prepared to put even his sumptuous front-foot cover drive in storage. The cricketing gods never offer gifts without some sting in the tail. Men like Graveney and Bell who make batting look so natural, even easy, are more harshly judged than the likes of Geoffrey Boycott and Alastair Cook, whose innate talent may be less but who have made themselves great by application and intelligence, recognising their limits and playing within them. Like Bell today, Graveney for years came in for severe criticism. He was in and out of the England side. "No Test-match temperament," some said. Bell too was for a long time accused of being a bit soft, making big scores in Test cricket only when the going was easy. Graveney finally silenced his critics in 1966, when he was recalled at the age of 39 to face Wes Hall, Charlie Griffith, Garry Sobers and Lance Gibbs, and hit two hundreds and a ninety in that summer's Tests; Bell when he rescued England time and again in the 2013 Ashes series, scoring three centuries after England had made bad starts or collapse threatened. Statistics never say everything. Graveney and Bell both have Test averages of 44; less, one may think, than their talent justifies. Circumstances change. Graveney played 79 Tests between 1951 and 1969; Bell, at the moment of writing, has played 108. He has scored 22 Test hundreds to Graveney's 11. On the other hand he will never come close to matching Graveney's 122 first-class centuries simply because he is scarcely ever available to play for Warwickshire. Even if, like his former Test colleague Paul Collingwood, he was to eschew media work and return to captain his county when his Test career finishes, he would need a remarkable run of form to join the distinguished club of batsmen who have made a hundred hundreds. Figures matter because matches are won by scoring runs and taking wickets. So, yes, indeed, they matter enormously. Yet for the true lover of the game, other things matter more because they offer us delight. It is 44 years since Tom Graveney last walked out to bat in a first-class match, and yet the memory of his grace and style remains clear. Likewise, I mean no disrespect to Alastair Cook when I say that I would rather watch Ian Bell make 50 than Cook compile a century. There ought, as Neville Cardus used to say, always to be a place for style in an England XI. As long as Ian Bell is playing, that place is filled. In the days of power hitting, he remains an artist-batsman. Cardus had one other test for quality. If, he used to say, you heard at lunchtime that X was 20 not out, would you leap into a taxi and tell the driver to take you to the cricket? 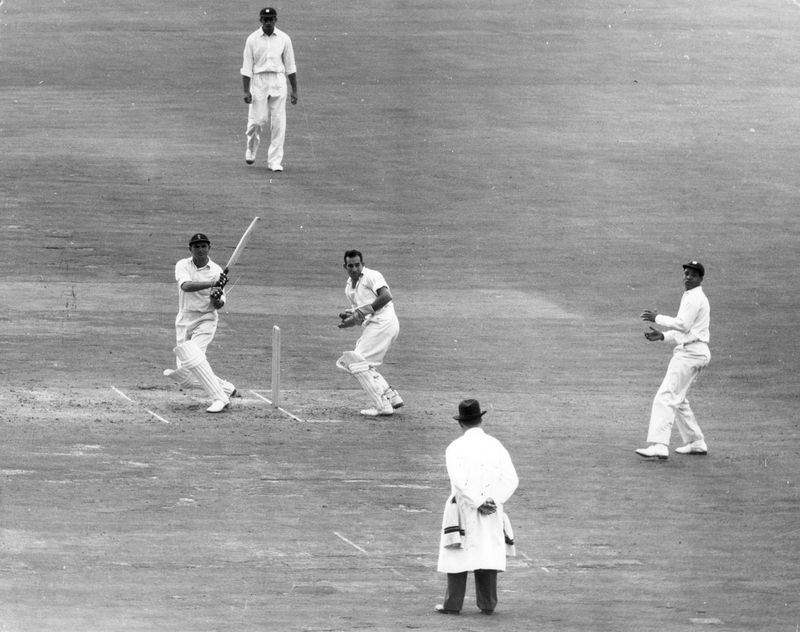 It's a test that Tom Graveney passed, and Ian Bell passes, both with distinction. Yes, it matters in cricket. But what is it? Is sporting beauty a moral virtue? Or a quality to be distrusted?